Big City Life is the latest in a series of street art projects boosting morale in neglected Roman neighbourhoods. Over the last couple of years Rome's international reputation as a major player in global street art has grown in leaps and bounds, driven principally by several ambitious urban art regeneration schemes across the city. A key factor in this welcome development has been the willingness by the administration of Rome's mayor Ignazio Marino to engage with the organisers of these public art projects. 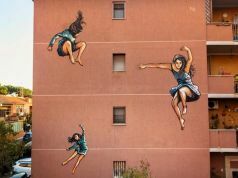 The movement received a further boost a month ago when the city produced 50,000 Roma street art maps – available from tourist information offices – detailing the locations of 330 of Rome's murals. Roma street art maps available at tourist offices around the city. 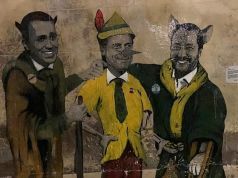 Marino's open-arms approach to street art is in contrast to the stance of his dour, right-wing predecessor Gianni Alemanno, part of whose election campaign rested on ridding the city of graffiti. However, the difference between street artists and graffiti vandals, or "writers", who spray illegal and often illegible "tags", should be underlined. The Italian and international street artists currently making their mark on the capital are creative, highly skilled, and leave a legacy that has widespread backing from the city and local residents. 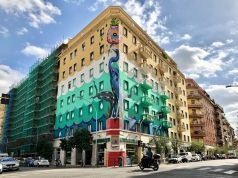 Under Marino, Rome has weighed in wholeheartedly behind street art, making buildings available to artists and giving the green light to a succession of large-scale projects. This approach has resulted in Rome becoming a world leader in combining support for artists with the need to regenerate morale in neglected city neighbourhoods. 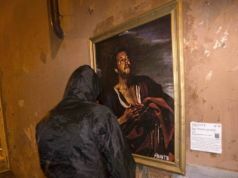 Wanted in Rome, which has always had a policy of promoting local art and local artists within the city (see our Cover Art project 2010-2011), began following the street art projects early on, as well as giving them cover space in recent years. Since then the phenomenon has been reported by heavyweights such as TIME magazine and The New York Times, while The Art Tribune lauded Rome as "the European capital of street art, for the quality and quantity of works, for their even spread between the centre and suburbs, for the outstanding work conducted by cultural associations in synergy with local government, aimed at producing works that are legal, planned and well integrated with the fabric of the city." Rome's latest, and arguably best, street art project to date ticks all those boxes. 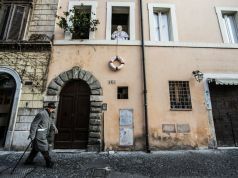 Big City Life in the southern Tor Marancia district, near EUR, was inaugurated by Marino in March and has since put the virtually unknown suburb on the tourist trail. The scheme features 18 gigantic murals on 11 façades, measuring 14 mt in height, and covering a total of 2,600 sqm. 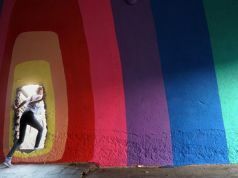 It involved 18 street artists who, over 70 days, got through 756 litres of paint and 974 spray cans. The result is spectacular. 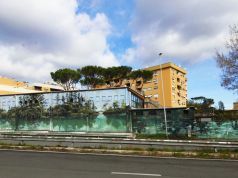 The neighbourhood itself is just off the busy Cristoforo Colombo highway, opposite the Regione Lazio headquarters, and can be reached directly from Piazza Venezia by the 160 bus. 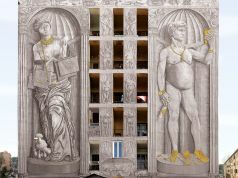 Nearing the address – Viale di Tor Marancia 63 – two German girls are taking photographs excitedly of a four-storey gable wall which features a mural of two feline-faced wrestlers by Argentinian artist Jaz, entitled Il peso della storia. ll peso della storia by Jaz. 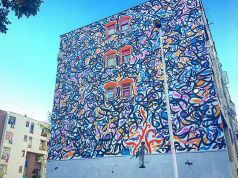 To the bottom right of Jaz's mural is a little doorway leading to several large blocks of flats off the street; once inside first-time visitors will be awed by the scale, inventiveness and beauty of the vision that greets them. No matter how much the murals are expected, the sensation is still surreal, like stepping into an urban secret garden. It is easy to spot the newcomers: they all crane their heads upwards, admiring this extraordinary open-air art museum in the most unlikely of places. Quietly observing the arrivals are clusters of local teenagers and elderly people chatting on corners or staring out of windows. Big City Life was organised by cultural association 999contemporary, with the backing of the city and the Ater social housing body. The project blossomed under the guiding hands of Francesca Mezzano, Stefano Antonelli and Gianluca Marziani, the same team that oversaw the Urban Legends street-art restyling of the Spagna station on Rome's Metro A line a year ago. Mezzano, who “fell in love” with Tor Marancia, set out to meet every single resident of the flats, getting locals involved and sharing their opinions with the artists. She said the objective was to "transform the neighbourhood” and hoped that the murals might “help people to meet, talk, solve old conflicts." Before the project, the residents didn't interact together and also complained that nobody “from outside” visited them. Now they speak to each other and have a steady stream of Rome residents and tourists arriving, curious to see what the fuss is all about. Built in 1949, the 11 social housing units host 500 families who have long bemoaned a lack of services and facilities, claiming they have been ignored by the city. This is evident if one lowers one's gaze from the magnificent murals. Below lie unkempt lawns, broken railings, an upturned tree trunk, rat-traps dotted discreetly here and there. The project involved artists from Argentina, Britain, France, Germany, Italy, Portugal and the US. 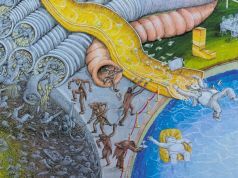 Among the highlights is the Giorgio de Chirico-flavoured Spettacolo, Rinnovamento, Maturità, by Brooklyn artist Gaia, featuring a floating orange and a bust of a statue with the body of a flying fish, set against a bright blue sky. Spettacolo, Rinnovamento, Maturità by Gaia. One of the more unexpected Big City Life murals is S. Maria di Shanghai, a traditional religious image of a Madonna and Child, by Italy's Mr Klevra, a publicity-shy street artist who also happens to be an expert on Byzantine iconography. The parish priest of Tor Marancia, Don Mauro, was reportedly not in favour of the mural initially, but after meeting Mr Klevra he agreed to bless the image last month. 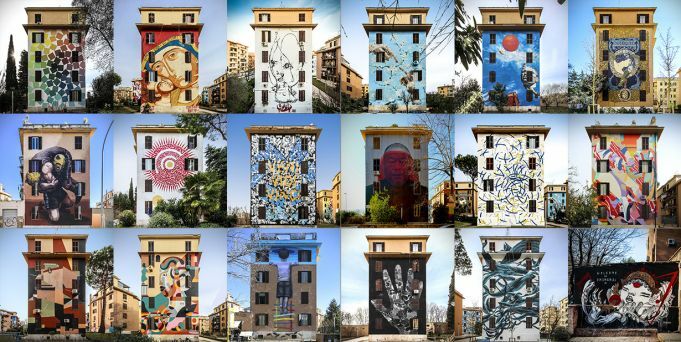 Big City Life is the latest in a series of urban art regeneration schemes which come under the umbrella of Roma è tutta Roma, a municipal plan to use culture, social events and public works to enhance the capital’s disadvantaged suburbs. 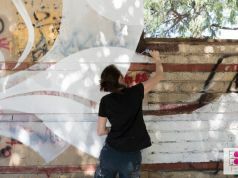 Rome's cultural councillor Giovanna Marinelli believes that urban art plays a crucial role in redeveloping neglected areas as well as strengthening the city's social and cultural fabric. 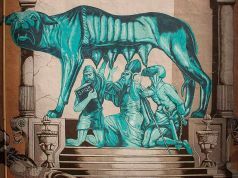 "We have set in motion several street art itineraries, from Ostiense to S. Basilio,” she said, “in an effort to promote lesser-visited areas of Rome to tourists.” The plan is working. 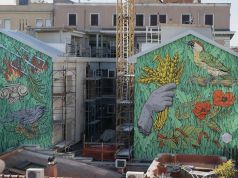 In February, to much fanfare, Rome artist Hitnes unveiled his series of massive cats and birds painted on six buildings in the S. Basilio suburb of east Rome. 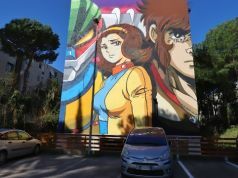 Hitnes followed in the footsteps of artists Agostino Iacurci from Italy and Liqen from Spain, bringing to an end the extremely successful SanBa regeneration project which, like Big City Life, was sponsored by cultural association Fondazione Roma. Hitnes murals for SanBa in the S. Basilio district. In April, Spain's Dulk completed a mural of a surreal panda on Via Antonio Tempesta in the Pigneto district. The project was funded by local city authorities and organised by Galleria Varsi, a small but dynamic gallery near Campo de' Fiori that promotes street artists. Other notable murals in recent times include an image of girls and butterflies by well-known Rome street artist Alice Pasquini on Via Stefano Oberto in Cinecittà; window-eyes and ships in stormy waters by Bologna-based Blu on Via Porta Fluviale in Ostiense, and the 32-m-high man surfacing from a rubbish bin and sipping a coffee, by Polish street art duo Etam Cru on Via Pavoni in Torpignattara. The easiest way to keep in touch with street art developments in Rome is to follow the 999contemporary website, and the Street Art section of the city's official tourism site, both of which feature interactive maps showing the murals' locations, documenting a movement which shows no signs of slowing down. 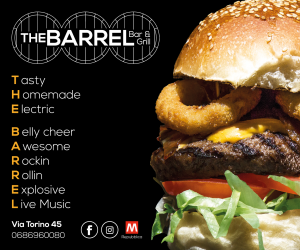 Big City Life project, off Viale Tor Marancia 63. See cover of this issue. SanBa project by Hitnes, Liqen and Agostino Iacurci around the S. Basilio district. 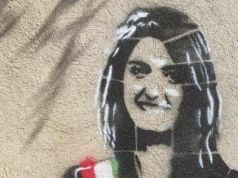 Alice Pasquini, Via Stefano Oberto, Cinecittà. Dulk, Via Antonio Tempesta, Pigneto. Fronte del Porto by Blu, Via Porta Fluviale in Ostiense. Etam Cru, Via Pavoni, Torpignattara. This article appeared in the June 2015 edition of Wanted in Rome magazine.